Prior to teaching my Year 7 class today, I read the resources provided on the Digital Technologies Hub website in relation to a unit of work called ‘Get Connected‘. This unit was designed to teach students about; (1) Network types (2) Network protocols (3) Protection against cyber crime and (4) Sending data via network. The unit of work caught my attention as it goes beyond the delivery of content, it provides practical-hands on activities in order for students to develop a richer understanding. I chose the activities which I thought would work, and put together a modified version of their program. I began with some basic information for students about what a network is, we watched this VIDEO LINK, and then we played the orange game (previous blog link). Great success. 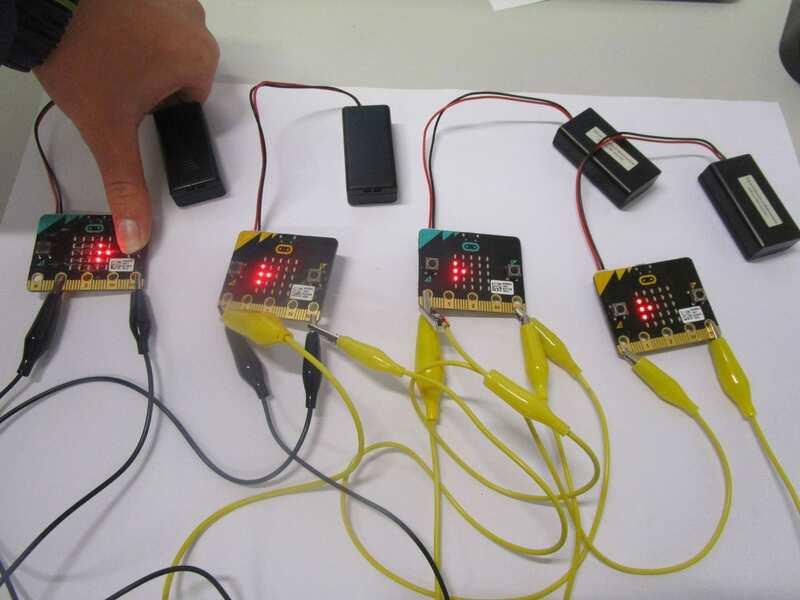 Then today, I introduced them to the BBC Micro:bit, I ran through the introduction tutorial, allowed them time to explore some to the online Micro:bit projects and then jumped right into the Morse Code and connecting two Micro:bits (one Micro:bit to transmit, and the other to receive). Following this, we moved onto connecting 4 Micro:bits, one to transmit and three to receive. It didn’t work? We followed the image on the website but then the students figured out the image was incorrect, each Micro:bit needed to grounded. I had so much fun, we learnt a lot together. Next term we are going to explore collisions, when two or more Micro:bits try to transmit at the same time.